Private westside estate located within a small enclave of 6 homes on a private cul-de-sac. 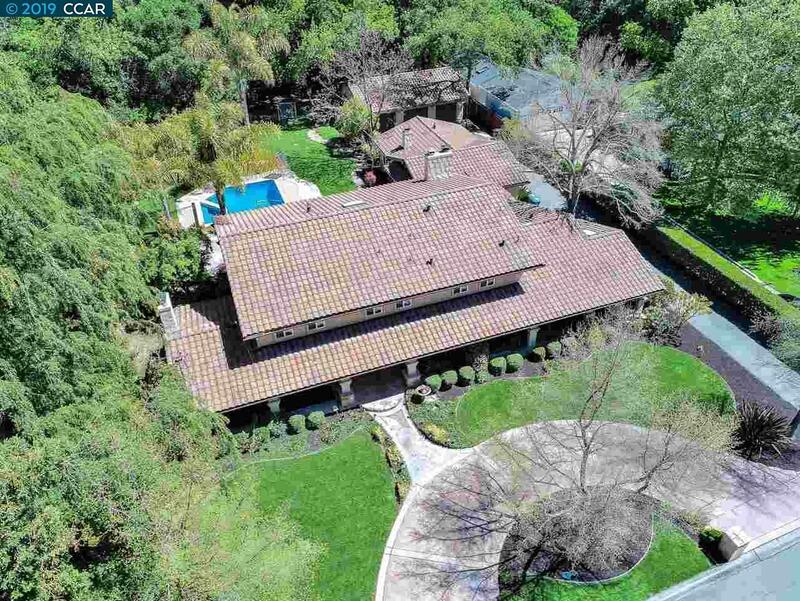 Large flat lot, expansive backyard with pool, spa, spacious lawn, mature oak trees and stream. There are two driveways, one circular in front of the home, and another leading to a 3 car detached garage. The main floor has 3 fireplaces, den, laundry room and an au pair suite with it's own entrance, bathroom and sitting area, Kitchen open to family room with french doors leading to backyard. Second floor has 3 bedrooms, in addition to the master suite. The master has a fireplace and slider opening to deck overlooking the backyard, walk in closet, separate tub and shower and two vanity areas. Attached by a breezeway on the main floor, there is an additional bonus room with it's own fireplace, bathroom with shower and access to the backyard. This home has gorgeous hillside views- close to Las Trampas Trails, Iron Horse Trail, award winning schools and more!